Slot games often produce sequels and as is the case with hit Hollywood movies, the sequel often fails to live up to the hype or the success of the original. It goes without saying that Microgaming’s The Dark Knight Rises slot which was the follow up to the extremely popular The Dark Knight slot by the same developer is proof of that issue. However, Black Knight II is a slot that I am very pleased to confirm actually did take its slot name further and to the next level. Almost to the degree that the iconic Thunderstruck II slot built on the success of the original Thunderstruck slot. It is a rare phenomenon in any kind of genre but to take the success of a popular slot and then up the ante so to speak. WMS Gaming deserve all the credit they get for pulling this off. 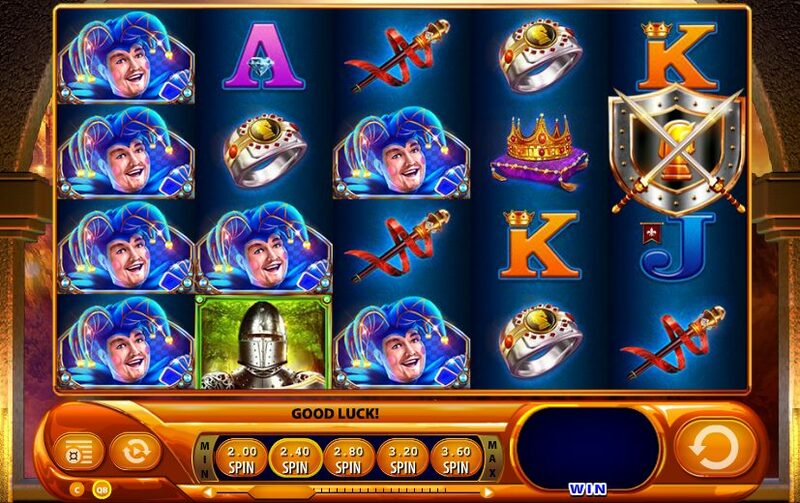 Black Knight II is a 5 reel, 40 pay-line slot and instantly you can tell that WMS Gaming, the developers behind this slot, are taking it to the next level with 10 additional pay-lines compared to the original. Players can also play from 40p per spin up to a maximum bet of £120 per spin. Not only is this sequel aesthetically much more superior than its predecessor but the reels also have four rows instead of the three in the original so you are immediately made aware that the potential wins to be had in this slot are bigger than in the original. The Black Knight is Wild, Sticky and Expanding! The Black Knight once again appears as the Wild. If you see him then there’s a chance you can complete winning combinations to win some big prizes. Hopefully, he will be more effective in bringing you fortune than the Black Knight in Monty Python’s The Holy Grail (“tis but a scratch!"). The Black Knight in this slot also has the added benefit of expanding over the whole reel if it appears on any one of the three central reels. This game also comes with your obligatory free spins bonus round. If you trigger the free spins bonus round then, just as in the original Black Knight slot, you will be awarded 7 free spins. 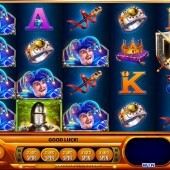 If you hit any Expanding Wilds during these spins then the entire reel will remain Wild for the rest of the free spins. This can really build up the wins. Black Knight II goes a long way to taking the slot to the next level. Black Knight was a legendary slot with many players but it is likely that players will now be talking about its successor. The Knight is dead… long live the Knight!